Happy Post-Valentine’s Day! If you’re in need of a good love story, or in need of PBS credits, look no further than February’s blog contest. The Notebook by Nicholas Sparks is one of the most widely read books on our site, with 1,426 reviews. Many Nicholas Sparks fans say it is the prolific romance author’s best and most touching work. Any one of the thousands of members who have read the book can readily explain the novel’s appeal. It’s a story about real, powerful love that endures over a lifetime, and it’s an intimate invitation to share the likable couple’s journey. A true tale of devotion like this is a welcome reminder of how wonderful life can be when you’ve given your heart to another. Available to order on PaperBackSwap today! Since Valentine’s Day is just around the corner, we’d like to invite you, our readers, to submit your love stories to the PBS Blog. You can tell us how you met, what made you fall head-over-heels, or what has kept the flame alive. If your anecdote involves Valentine’s Day, that’s even more fitting! Just let us in on any influential details that made your journey as a couple special and worth retelling as “your love story”. Get your submissions in by February 25th in a comment to this post. We’ll choose the top five stories and post them on February 28th. Then, PBS members will have four days to vote for the best one. The winner will be announced on March 4th and that lucky lovebird will receive ten credits! Please keep the stories to no more than 300 words. Though you may be madly in love, you don’t need to include every single detail about your other half! Let’s face it; if it’s that interesting, it’s probably fiction. Now that you know the details, it’s time to start writing! If you aren’t sure how to begin, think of The Notebook to give you an idea. If you haven’t read it yet, what are you waiting for? Order it from the site as a Valentine’s day treat, sure to lift even the weariest of hearts! News: Better Browsing, Postage Increase, Survey, Twitter BG Contest, Requestor Conditions & Caps! Holy Better Browsing, Batman! Check out the new browsing options on the Member Homepage. Click Home in the top menu to get to this page, on which you can choose up to 3 favorite genres for your sliding display of available books; below that, you can now also browse available books in other genres – just one click displays the genre you choose from the list. What used to be the Recently Posted Available Books display is now viewable by genre – so you can look at cookbooks — mysteries — Libros en Espanol — whatever you like. One click “refills” the display with available books in the genre you have chosen. There’s no quicker way to browse for your next great read! Postage Increase THIS MONDAY. Effective Monday, May 11, postal rates will increase slightly. The price of a First Class letter stamp will increase from 42 cents to 44 cents (so stock up on those Forever stamps this week!). A 1-lb Media Mail package will be $2.38 (up from $2.23). Download the USPS’ new price list, or read the information at USPS‘s website. Please note that PBS Printable Postage will shut down for Sunday May 10th, so you will not be able to print the “old rates” on that day. It will be enabled again on May 11, and the new rates will print out. Remember to mail your books you have agreed to mail on or before Saturday the 9th of May, so that you are not sending packages with insufficient postage! We’ll give you something to talk about…. We’re looking for member input on the club, and we will be sending out survey emails to random members in the next couple of weeks. When you get one of these emails (it will come from librarian@paperbackswap.com and it will have the PBS logo in the message body), click the link inside to take the survey. The surveys will be short, and your responses will help us make decisions about what direction to take new features in the club. So if you get a survey email, please take a few minutes to take the survey. Your opinions could have a big impact! So you think you can design? Prove it in our upcoming Twitter Background Design Contest! 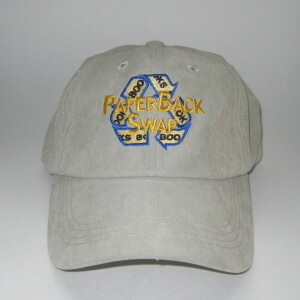 We want our members to be a part of representing the club on our Twitter profile @paperbackswap. The contest begins May 7th and ends June 7th. You can submit your entry on the site http://www.TwitterBackgroundsGallery.com after May 7th. Winners get cold hard cash, credits, and Swap Money as well as unending glory! And those of you who don‘t design…you can still get in on the act by voting on the submissions. There will be “people’s choice” AND “PBS Team choice” winners! For more about how to submit, the prizes, and all the nifty details, check out the PBS Blog. A huge thanks to TwitterBackgroundsGallery.com for helping us set this up & use their website to run the contest. Oh, we didn’t mention the Blog? It’s just a little somethin’ we threw together…. You can find it under Community at the top of any page on the site. It has info from previous newsletters, plus stuff you can’t find anywhere else on the site, and you can comment on the items there. Check it out. Requestor Conditions Refinement. Now when you request a book you will have the option NOT to apply your Requestor Conditions to that request, during the process of submitting the request. No need to go into your Account Settings to turn them off, then back to the request, then back to your Account Settings to turn them on again. This new streamlined option should make things easier for those who use the Requestor Conditions feature. And to top it all off… PBS Caps are in the Kiosk! 100% cotton in black or mustard, and a sueded cotton blend in stone. Don’t tell us you don’t love them. It’s not possible not to love them! Ten bucks to protect your face from sunburn and proclaim your membership in the best online bookclub on the planet? It’s ridiculous not to buy these. Please please please please do not select a mail-by date that is on a weekend or holiday, when you accept a request. The post office is closed! Seriously- the PBS system works on calendar days. We do mean to put some alerts into the system to tell members when they are choosing postal holidays as their mailby dates (and to prevent doing that), but we haven’t been able to get to that item on our (oh-so-long) To Do list yet. In the meantime, remember that reminder emails won’t go out if the book is marked mailed on time; to prevent getting any of these, the sender needs to keep postal holidays and the like in mind when choosing the mail-by date at the time of accepting a book. You have a grace period after the mailby date you choose – just be sure that you can actually mail before the deadline, and you will not have any problems with this. Use the Book Browser to search for Literature and Fiction > World Literature , choosing the geographic area of interest as a sub-subgenre. The database does have a genre for Libros en Espanol – this is one of the “popular genres’ in the list on the Browse by Genre area. To do this search, click Search at the top of the site, then click the Browse By Genre tab on the Search page, and you will see the Popular Genres list. Many books in foreign languages have been tagged by members with a corresponding Book Tag. An easy way to find these tagged books is to tag a book you know is in Russian (for example) with the tag “Russian language”. Then just click that tag you just created on the book listing to see all of the listings that bear the same tag. This is an excellent, club-useful implementation of Book Tags. You can read more about Book Tags in the Help Center. If you have a book in a foreign language, help others find the book by adding the language information to the title, in parentheses : “(Lithuanian Language Edition)” after the title will make it very easy for requestors to know that your book is in Lithuanian! You can use the Edit Book Data link at the bottom of any page on the site to submit these title amendments to our Data Correction Volunteers who will need to review the information before it can be approved and added to the site. Put “French language” (for example) into the search space at the top of the site. Any books that have this phrase in the book description information or in the title will be found using this search. If you go to a listing for a book in the language you seek – click the publisher name to see all of the other books from that same publisher. We hope this helps you Polly! We wish you des echanges joyeux, los intercambios felices, das glückliche Tauschen, as trocas felizes, de gelukkige uitwisselingen and gli scambi felici! The Stop the Fires – Save the Books petition is not intended to denounce Mr. Wayne! We do understand the message that he was trying to get across: that reading has declined in America to the point where he could not even GIVE books away. We sympathize with his frustration at not being able to find a home for these books. The PBS petition is meant to let him know that there ARE still readers in America–and many of them are at PBS! We are pleased to know that other groups are interested also; we trust the bookstore owners to make the decision about who should get the books. We know that PBS members would put the books to good use, but of course we will be happy also if the books go to another group–as long as they don’t get burned! When you receive a book, the first place you should look to mark it received is on the En Route to Me tab in My Account. The Transaction Archive holds only PAST transactions–not those that are still active. To get to your En Route to Me tab, click My Account in the toolbar at the top of the site, and scroll down if necessary to see the En Route to Me tab. If you have books to mail or books newly requested from you, the Books to Mail tab or Requested from Me tab will show by default; the En Route to Me tab will be to the right. Click that tab and you should see your books, which you can mark received as usual. The Transaction Archive (TA) shows ALL PAST TRANSACTIONS, which include canceled, lost, problem and successfully completed transactions. That means that one title may be appear in more than one transaction. For example, if one sender declined to send you a book, that transaction will appear in your TA as “Canceled” (red X on icon to left of transaction). And then when the request was passed along to a new sender who sent the book, and then you marked it received, that second transaction **for the same title** will also appear in your TA, but as “Completed Successfully” (green checkmark on icon to left of transaction). You can see more information about the status of a book by putting your cursor over the icon to the left of it and seeing the text that pops up. When you mark a book received, it will give the sender credit. If you are unsure if you have done this for a book you received, simply sort the TA by “Requested by Me” – “All” – “title” – “Descending”. Then scroll down to look at all the transactions for that specific title. If one of them has a green checkmark beside it, you marked that copy received. You can see who sent it to you by looking at the name of the sender on the right side of the transaction. If none of them has a green checkmark, you never marked any copy of this title received. Again, you can tell the different senders apart by looking at the names to the right of each transaction. To see if a book you sent was marked received, do exactly the same thing as above, except choose “Requested From me” at the top of the TA (everything else the same as above), and re-sort before scrolling down to see the transactions for the title(s) you want to check on. You can also read the Help information on the Transaction Archive in the Help Center, accessible from the toolbar at the top of any page on the site. The Transaction Archive can be understood and used without reading the Help information, but if you need guidance, the Help information is available. Genre/subgenre search: Putting genre/subgenre terms into the Keyword Search will find you all books in those genres, as well as any books with Science or Education in the title or description. That’s why you saw other books in your search result.The Genre/Subgenre search is best done using the Browse by Genre tab in the Search area. Click Search in the toolbar at the top of the site, and choose the Browse by Genre tab. Choose your genre/subgenre and click Go. You can refine your search from there if you like by selecting a further subgenre at the top of the page, or Recent Additions only, or WishList books only, or Unposted Books only, or choosing a letter to view only titles that begin with that letter. You can also widen your search by clicking All Books from the top of the page. You can also “jump” to another genre/subgenre right from the top of the page. The default Search is for Only Posted books. Jodi Picoult is a very popular author–her books are ALL on Wish Lists at this time. Which means that none of them appear as Posted (Posted books are available books that have not yet been requested). So when you put “Jodi Picoult” into the search field, you got no Posted results. Just click to widen the search to All Books (or click the link “Don’t see the book you are looking for?” on the upper right of any search results page) and you will see the titles in the database for this author. To avoid a “Search Avalanche”: The added power of the new Search means that you can get overwhelmed with results! (You don’t have to know the exact title of a book though, like you did with the previous Search.) The Search will get you books that have your search terms in the title, genre, author field, or description. To avoid getting “buried” with results (and having the books you want “buried” somewhere in the results too), put MORE terms into the search field. A one-word search is almost always too broad (an exception would be if you are searching for an author with an unusual first or last name). You can put in all the basic information you know about the book you are looking for right into the search field in the toolbar, to narrow your search from the start. You can then further focus your results (if necessary) by clicking the Advanced Search link at the top of the search results page (your previous search terms will auto-fill in the appropriate fields on the Advanced Search) and choosing additional constraints: publication date, booktype, genre, Large Print, etc. You can also choose how the results will be displayed (by relevance to the search terms, alphabetically by title or author, etc) from the bottom of the Advanced Search. In the example you give, Russ, “Truman Biography” would have turned up biographies on President Truman. “Truman Biography David” would turn up just one–that great Truman biography by author David McCullough. To Search by subject: again, with this Search, MORE (in the Search field) is usually better! “Bees” is pretty broad, and will get you all books that have that word in the title or description. “Beekeeping”, or better “Beekeeping how-to” turns up no Posted books with the intial (default) search, but clicking on the search results page to widen the search to All Books gives some excellent results. You can put any of those Beekeeping books on your Wish List (or even click to Buy it New if you can’t wait to get started!). There is more information about how to make the PBS “turbo” Search work for you in the Help item “How to find books to request” (in the Help Center and also in the Need Help? tab at the upper right of the Search page, the Homepage, and My Account). But the best way to tame this search is to try it out; we are confident that those who were able to cope with the limitations and quirks of the old Search will be able to get the hang of the new Search with a little practice. Ever wonder what everyone is really wishing for? With one of the new birthday presents this month, you can now see the club’s Wish List sorted by genre. Sometimes wishes multiply and then we can’t make sense of what everyone is looking for on the site. With the newest feature, you can make sense of the Wish List because it will be sorted by genre. Browse the genres that are important to you and see what others are wishing for. Members posting books can now click away and identify books from the Wish List that are also in their own libraries and post them. 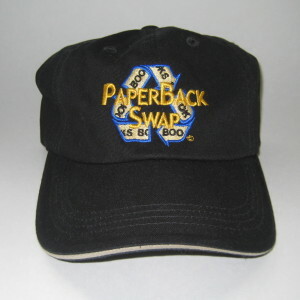 Just another one of the many ways that the PaperBackSwap team works to help you maximize your book lovin’ life! Go browse the Club Wish List now. Did someone say “Needle in a Haystack” . . . again?! Did you know there are more than 2,000 books per day posted into the club’s library? This means more titles for you to choose from and more books for you to enjoy reading. However, it can seem overwhelming to wade through all those titles searching for the ones you want. Let your Daily Book Postings by Genre do the sorting for you. Now the club’s Daily Postings are available to you broken down by Genre. Let’s say you want to see all the Mystery books posted today. Simply go to Books Posted Today and click on the Genre bar to specify Mystery. A list will be generated with only the books that fall into this genre. Don’t miss out on the new book postings that mean the most to you. Check out this great enhancement today!